If you can’t pay your mortgage as agreed, you may find yourself worried that you’ll lose your home. Before you let it get to that point, there are ways you can stop it. The most important thing is to stay in contact with your mortgage company. Don’t ignore the problem and hope it will go away. Talk to them to discuss your options. The second thing you need to do is write an effective financial hardship letter. We’ll help you understand the steps to write the letter below. Writing the financial hardship letter can seem overwhelming, but it’s just a heartfelt discussion about your situation. Don’t beat around the bush when you write the letter. Be as direct as possible, letting the lender know exactly what you need. Your letter should start off with the reason you are writing to the lender. Don’t talk around the issue or discuss the details of your financial hardship just yet. Instead, tell the lender what it is you are trying to achieve. Are you looking for a loan modification or a short sale? If so, what payment are you trying to get or what amount are you trying to get the mortgage company to accept for the short sale? These are the details that need to be at the top of the letter. Now that the lender knows what you need, you can start being detailed. When we say detailed, though, we don’t mean to carry on so that the lender loses focus. Instead, give the important details, but don’t add ‘fluff’ to the story. Stick to the facts and only the facts the lender really needs to hear. 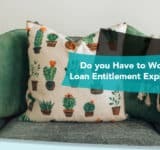 You will need to explain why you haven’t made your mortgage payments. Discuss the events that took place up until that point. You should also discuss any steps you have taken to rectify the problem. If the lender knows you are at least trying to put the pieces back together, they will be more willing to work with you. Believe it or not, your lender has people working there – people with hearts. When they read your story, you want them to feel for you. If you keep the letter generic and don’t show the lender how badly you want to keep the home, they might not work with you on a solution. If, on the other hand, you are heartfelt, and more importantly, honest, you have a better chance of securing an approval. Let the lender know why you want the help on the mortgage. What does your home mean to you? How much money have you already invested in it? What are you doing to make sure this doesn’t happen again in the future? These are the answers your lender wants to hear. The most important thing to do is avoid any type of blame. Pointing fingers will not help anyone. Take the blame and show the lender how the issues have helped you grow into a better person. Let the lender know that you are aware of what happened and that you will do everything in your power to avoid a reoccurrence. The last thing the lender wants to do is foreclose on your home and take it into their possession. They are not in the real estate business. They don’t sell homes. If they can keep you in the home and keep you making your payments, that’s the ideal situation for them. In order to get this, though, you have to be honest, detailed, and ready to compromise in order to get the situation in order. Mortgage Get started today! It only takes a few minutes to get started and best of all, it’s completely free. Get started on your subprime mortgage loan today.